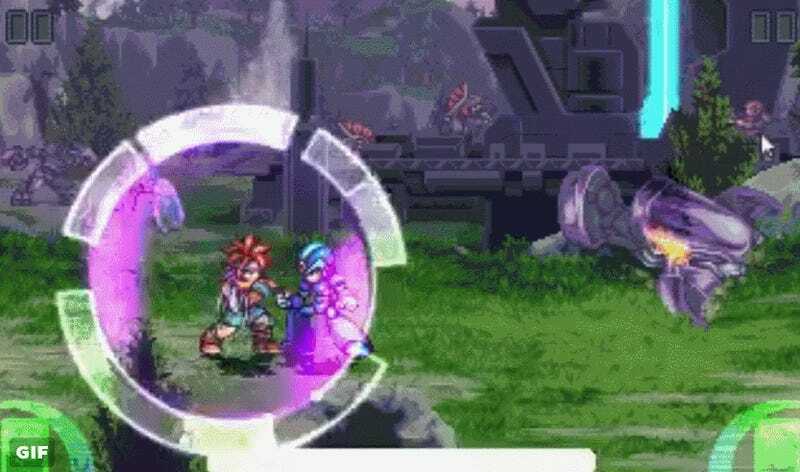 If you’ve ever wondered who would win in a fight between Mega Man X and an Ice Sword attack from Chrono and Marle, well, now you know. The mashup comes via artist Daniel Oliver who has a knack for taking beloved characters and recreating them in gorgeous pixel form. Apparently it’s part of a collaboration between him and fellow artist Orkimedes as part of an old crossover project. For anyone paying close attention, that’s architecture from the Halo universe hanging out in the background. You might have seen Oliver’s work before when his demake of Monolith’s Xenoblade Chronicles was making the rounds. To make it, he borrowed from the styles of Seiken Densetsu 3 (the Secret of Mana sequel that was never released in the West) and Chrono Trigger. For anyone familiar with then Square Soft’s 16-bit RPGs, the scene and styles are instantly recognizable.